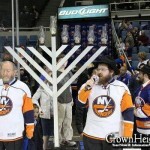 « Hammers shut-out the Kloppers in 6-0 Win! 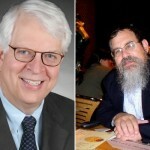 $8,092,269 in Pledges at 28th Chabad Telethon! 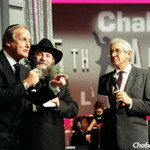 LOS ANGELES, CA [CHI] — Just an hour ago marked the conclusion of the 28th annual Chabad telethon. Broadcasted via TV and internet, millions tuned in and pledged a whopping $8,092,269! In an entertainment event laced with comedy many stars, TV and radio personalities put on a performance of 6 hours depicting the work of Chabad and asking viewers to donate, which they did. Larry King, Jon Voigt, Jordan Farmar, Mordechai Ben David, Avraham Fried, Ethan Bortnick, M-Generation along with politicians and leaders as well. nice pics. what was the most money they made from the telethon? Every year -a new record!! Next year will be over 10! !